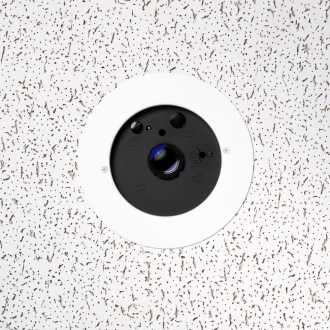 The CeilingVIEW HD-18 DocCAM is a high definition ceiling-mounted document camera capable of 16:9 resolutions at 1080p, 1080i and 720p, and 4:3 resolutions at 480i and 576i. The 18x optical zoom lens and 1.3 megapixel 1/3-Type CCD image sensor provide precise color reproduction and edge focus, essential for displaying images on a large-format HD monitor or for transmitting critical images through an HD videoconferencing system. Pair with the Quick-Connect of your choice to create a full camera system.